The Denver Mint is a branch of the United States Mint that struck its first coins on February 1, 1906. The mint is still operating and producing coins for circulation, as well as mint sets and commemorative coins. Coins produced at the Denver Mint bear a D mint mark (not to be confused with the mark of the Dahlonega Mint). The Denver Mint is the single largest producer of coins in the world..
1.1 Clark, Gruber & Co. Unlike Clark, Gruber and Company, though, the Denver plant performed no coinage of gold as first intended. 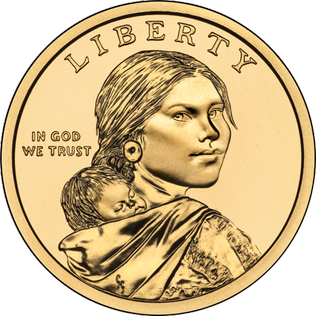 :77 One reason given by the Director of the Mint for the lack of coinage at Denver was, "…the hostility of the Indian tribes along the routes, doubtless instigated by rebel emissaries (there being a Civil War) and bad white men." The Mint is mentioned in both the title and lyrics of the Jimmy Eat World song "Lucky Denver Mint". The Denver Mint appears anachronistically in the 1870s in the 1967 The Wild Wild West episode "The Night of the Circus of Death". Similarly to above, The Mint is also anachronistically set in the 1870s in the 1960 Shotgun Slade episode "The Missing Train". ^ "United States Mint at Denver Celebrates 100 Years of Change". The United States Mint. Retrieved Jun 20, 2009. ^ a b c d Voynick, S. M. (1992). Colorado Gold: From the Pike's Peak Rush to the Present. Missoula, Mont. : Mountain Press Publishing Company. ISBN 0878424555. OCLC 314614194. "History of the Denver Mint". Fact Sheets: Currency & Coins. U.S. Treasury Department. Archived from the original on January 3, 2007. Retrieved March 17, 2017. 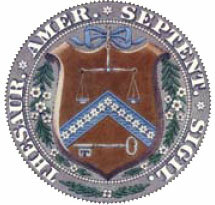 Wikimedia Commons has media related to Denver Mint. 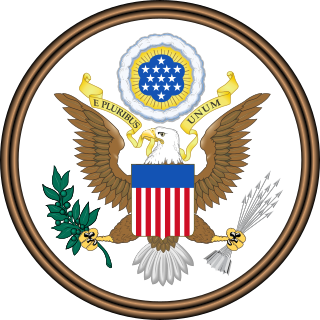 The Turban Head eagle, also known as the Capped Bust eagle, was a ten-dollar gold piece, or eagle, struck by the United States Mint from 1795 to 1804. The piece was designed by Robert Scot, and was the first in the eagle series, which continued until the Mint ceased striking gold coins for circulation in 1933. The common name is a misnomer; Liberty does not wear a turban but a cap, believed by some to be a pileus or Phrygian cap : her hair twisting around the headgear makes it resemble a turban.